In various games people define themselves as "PvP-ers". It's especially widespread in EVE. They then indulge themselves with statements like "I play for challenge" or "frigate PvP needs the most skill" and so on, endlessly. They are all liars, most of them lying to themselves. Please note that the scale is logarithmic on this 2013 activity report. 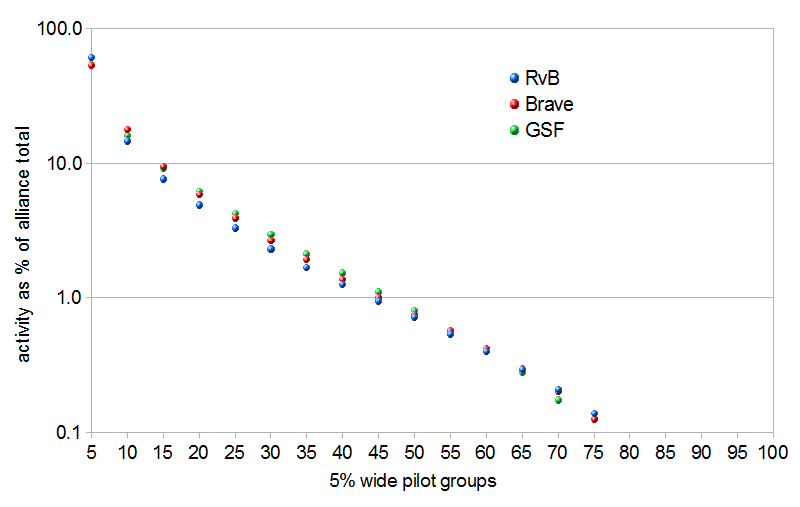 It found that about 15% of the members did 85% of the PvP activity of these alliances. 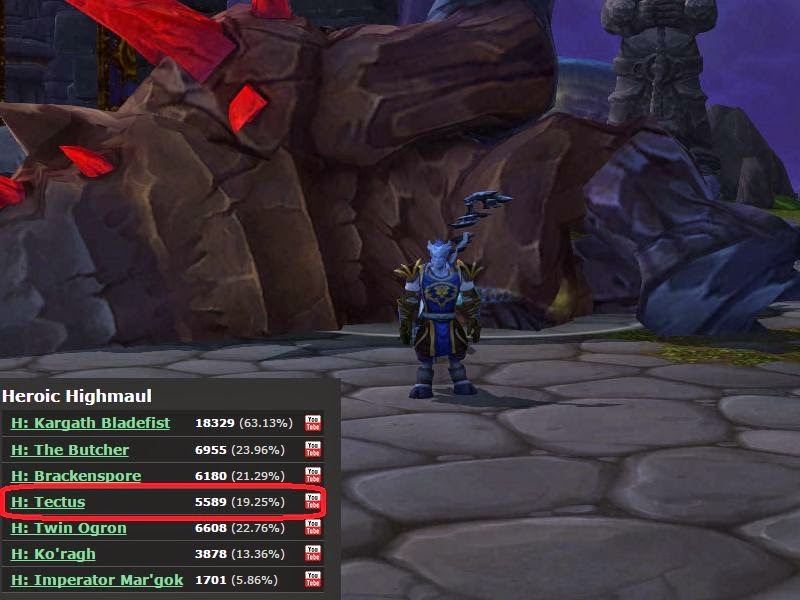 And they are PvP alliances while and most players are staying in highsec. It means that about 90% of the EVE players have little to none PvP activity. So if you engage in PvP with a random stranger, you have 90% chance to simply catch a completely incapable player. Killing him is no bigger challenge than ganking a miner. So even if you are a mediocre PvP-er, you can have over 10:1 kill:death, which looks amazing, until you look at the results of miner gankers. The only way to do challenging PvP is fighting a worthy opponent, which can't be done in an environment where most people are unworthy. And even if you engage another PvP-er (someone with killboard similar to yours), it's likely that he is yet another mediocre guy who feasts on the same morons and slackers as you. So in EVE you can have a PvP-er career with nothing but ganking carebears and fighting with other gankers. The only way to find challenging opponents is an organized tournament where the participants prove their skills by defeating other opponents. Only in direct competition can one prove that he is among the best. The problem comes from the "natural" belief that being above average is good. The guy who finished 90% of his fights victorious is definitely above average. But in the current World with extreme power differences being in the top 10% group doesn't mean you are good, it just means you aren't a complete failure. The "PvP-er" who proves his above average status again and again by "finding fights" is proving something obvious and irrelevant. Their situation is like saying "I'm rich because I can PLEX one account". This is factually true. For every PLEX buyer, there is a PLEX seller, so everyone who can afford a PLEX is in the richer half of the EVE population. But we are aware that earning 900M/month isn't particularly stellar, are we? PS: Goons totally don't care about Mordus Angels. After all that NPC trash bunch does nothing. Goons only camped the MoA HQ with a whole capital fleet, because it's so much fun: While the time Goons were having lot of fun staring at an NPC station and a bubble, poor MoA was left with the boring grind of an interceptor roam. PS2: Hellman, the brave Marmite pilot, accompanied by only a tackler friend/alt engaged a Goon capital ship and won, bringing another glorious chapter to small gang PvP in EVE. Agreed, if we generalise "tournament" to "an environment where being more skilled gives you an incomparably superior result, compared to other things, including being rich". These environments can be orchestrated in great many ways, tournaments are just the more commonplace one. Eve doesn't use any of those, though. Heh. If only someone with isk to burn would set up the Eve Galactic Combat League tournament system. Uh, nice sample bias here! If I am roaming solo through Lowsec or even Null, it is not like there is the same population of Eve players as in Highsec. 99% of this 90% non-pvpler are staying in Highsec. So the chances to find another pvpler or ganker in Lowsec is much higher. From my experience it is much more likely to be ganked than to gank a noob or non-pvpler. 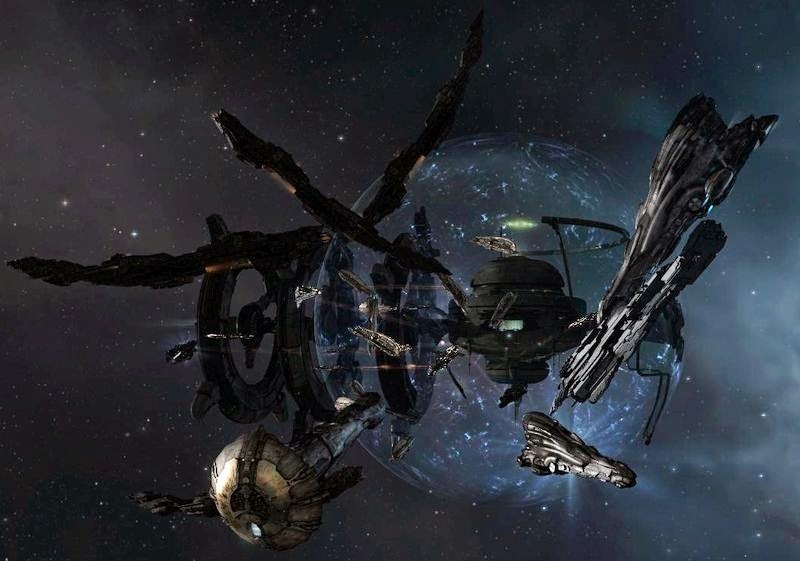 Eve is not about fair challenging PvP, EvE is a game of hard counters due to limited fitting slots on each ship and inability to change your fitting in fight. You are either the hard counter to your opponent or you are hard countered. In the least probable situation when your ships are somehow balanced the most skilled (i mean character's skills) pilot has advantage. Frigate versus frigate PvP is a little bit more dependant on player skills, but only a little bit, the whole fight is all about controlling distance and something interesting is only in the situation where opponents have different optimal ranges. And most of all, EvE is not about fighting at all. It's about forcing a fight if you have an advantage or avoiding it if you don't, engaging in good position or disengaging in bad one. Fixed fits do not necessitate hard counters. Or rather, they do, but only for game designers with no imagination. Eve's ship system was clearly designed as mostly an afterthought to everything else. Which actually reinforces the idea that Eve is not about ship-to-ship combat at all.